It was just last week that Facebook opened up livestreaming capabilities to celebrities via its VIP Mentions app. Naturally, the first question on our minds was when it would open up to more people. It seems some of us won’t have to wait too long. TechCrunch reports that the company is planning to expand availability of its Mentions app to beyond just a select few celebrities so journalists and users with verified profiles can take advantage of it too. The report indicates Facebook will roll out the feature to a wider set of users before the holidays, although there’s no official statement from the company to confirm that. While having a verified profile was already a prerequisite for using the Mentions app, actual access to its set of features was limited to certain public figures like musicians, actors and athletes, approved on a case-by-case basis. Verified profiles include more than just prominent celebrities; journalists are likely to jump onto the feature as quickly as they did onto Twitter’s Periscope. Facebook has been trying to leverage its ubiquity and increasing amount of video content with additional features to make it a stronger contender against YouTube. 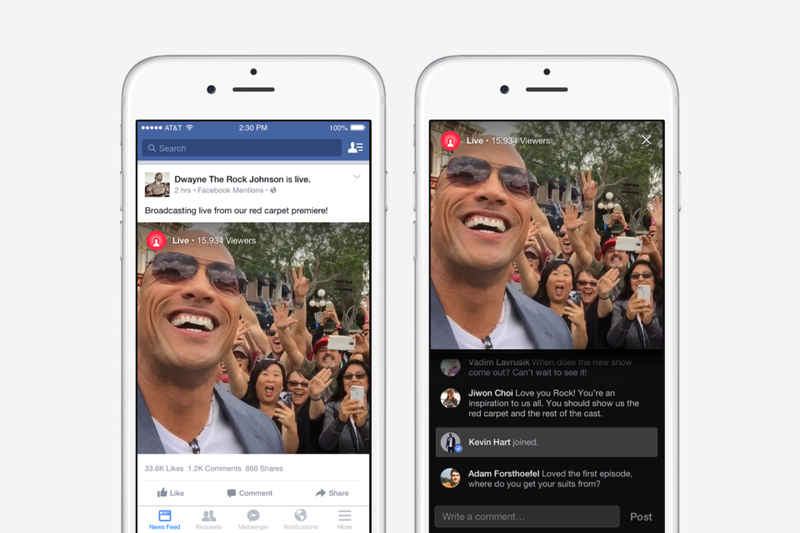 Given the amount of news shared on the platform as well, a Periscope-like livestreaming feature would make sense. Staggering the livestreaming rollout to different ‘tiers’ of popular users could be Facebook’s way of promoting engaging content, even if it’s questionable whether celebrities’ lives are really that much more interesting than our own.